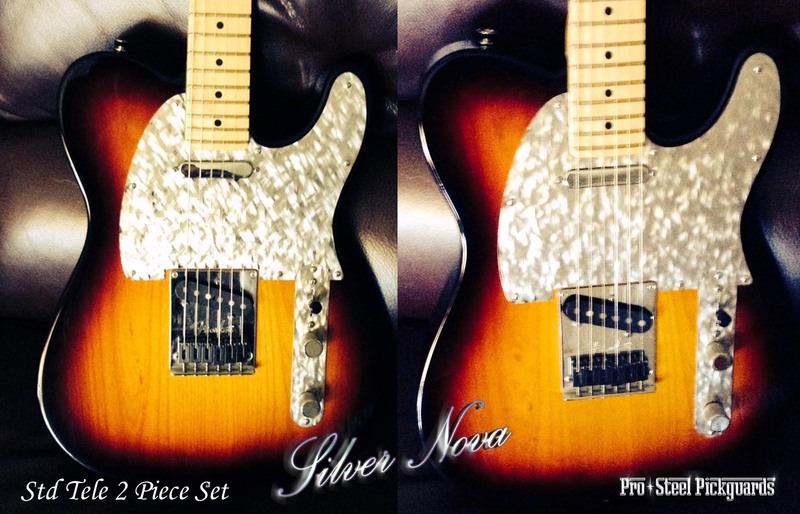 Silver Nova brings on a cool Tele dazzle like no other! SILVER NOVA begins with a fully polished stainless mirror surface, the Nova pattern is carved into the mirror surface, using a triple direction. Leaving small scattered sections of mirror. This method catches light in a 3 way bling trap, reflecting in a dynamic way that stainless steel is best at. Zaps a silver nova from any angle.